AMG partners with the National Fitness Campaign to implement a new outdoor fitness court in Oakley, Ca. A Smart City is an Active City. The cornerstone of Smart City mobility is the convergence of digital and physical infrastructure that increases access to active mobility options and provides opportunities to improve and maintain a community’s health. A Smart City is an active city – one that activates citizens to connect to their community spaces both digitally as well as physically. Healthy infrastructure encompasses an innovative approach to improve air quality, further State sustainability goals, encourage the use of active modes of transportation, and improve neighborhood safety. As we help communities redefine mobility and expand pedestrian, bike, and other active mobility options, AMG remains focused on integrating healthy infrastructure elements that invite residents outdoors to engage in community spaces, while encouraging active forms of transportation. 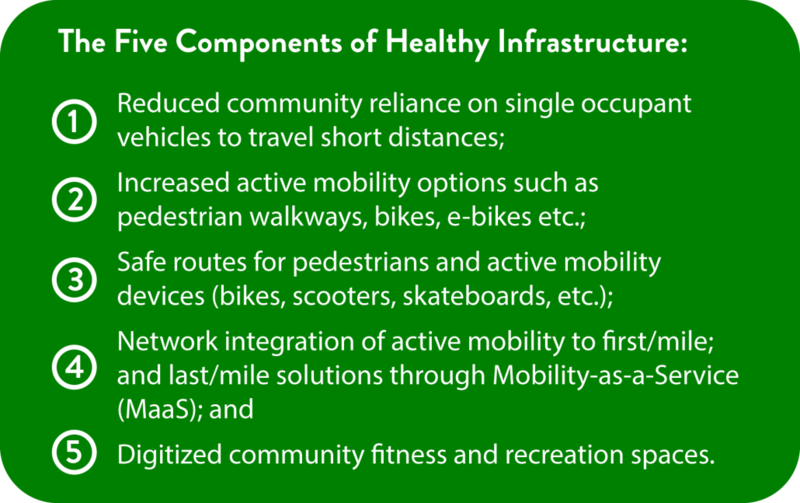 We define healthy infrastructure as the intersection between active mobility (bicycle, pedestrian, scooters, walking etc.) and access to active community environments (e.g. outdoor fitness courts, parks, shared public spaces). 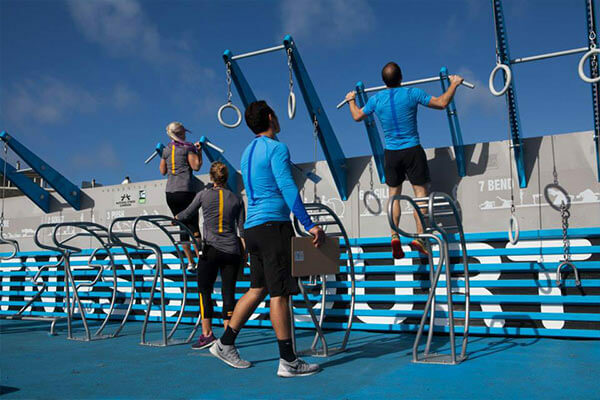 AMG is partnering with the National Fitness Campaign (NFC) to implement a new outdoor fitness court consisting of digital-assisted workouts in the City of Oakley as part of their Smart City initiative. This initiative aims to encourage and promote personal lifestyle choices that lead to a greater use of active mobility options. http://amobility.com/wp-content/uploads/2018/12/National-Fitness-Campaign-Fitness-Court4.jpg 400 600 Christina Ramos http://amobility.com/wp-content/uploads/2018/05/amg-logo-blue.png Christina Ramos2018-12-03 10:13:492019-04-18 14:38:31AMG partners with the National Fitness Campaign to implement a new outdoor fitness court in Oakley, Ca.